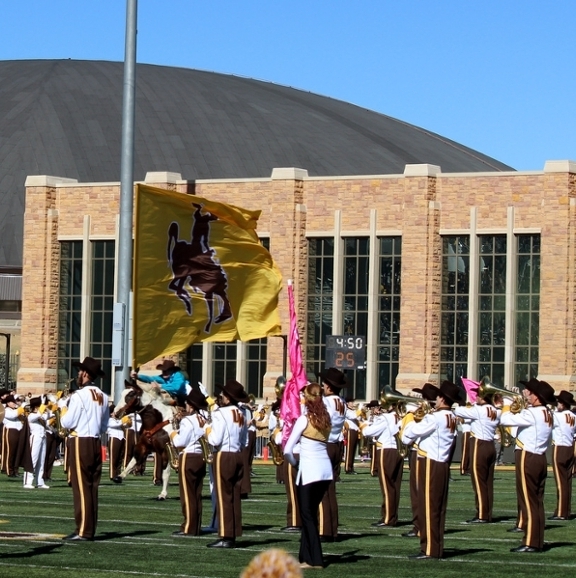 The University of Wyoming "Western Thunder" Marching Band is comprised of students involved in almost every academic major offered on campus. 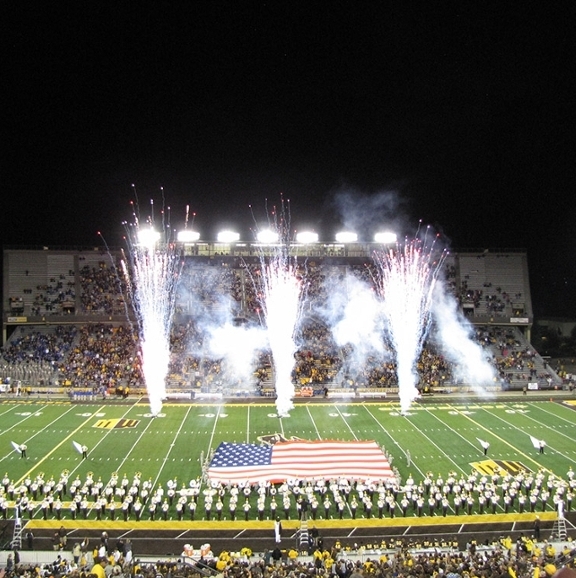 The band performs at all home games and occasionally at away games, which in the past 4 years have included the University of Texas, the University of Nebraska, the University of New Mexico, the Air Force Academy, and at Colorado State University. 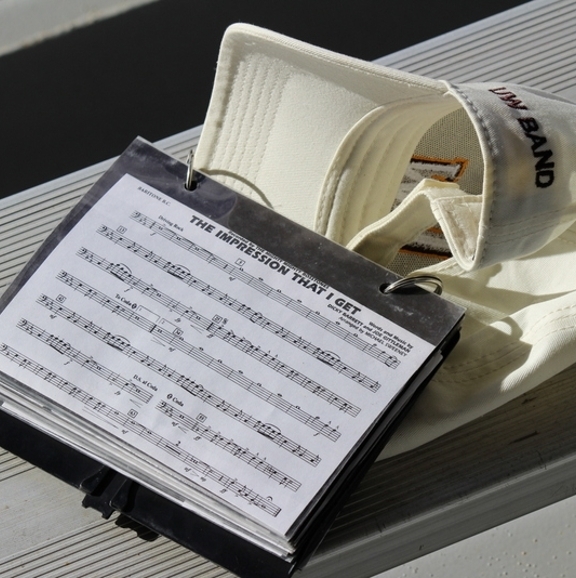 We also host an annual high school marching band invitational in October in cooperation with the Casper Troopers Drum and Bugle Corps. WTMB is open to all students on campus with no audition necessary unless you are involved with the drumline. We march the following instruments: piccolo, Bb clarinet, alto saxophone, tenor saxophone, trumpet, mellophone, baritone, sousaphone, colorguard, and the drumline consisting of snare, quints, multi-bass drums, and cymbals. Many of these instruments are available for rental through our music department for the duration of the marching season. 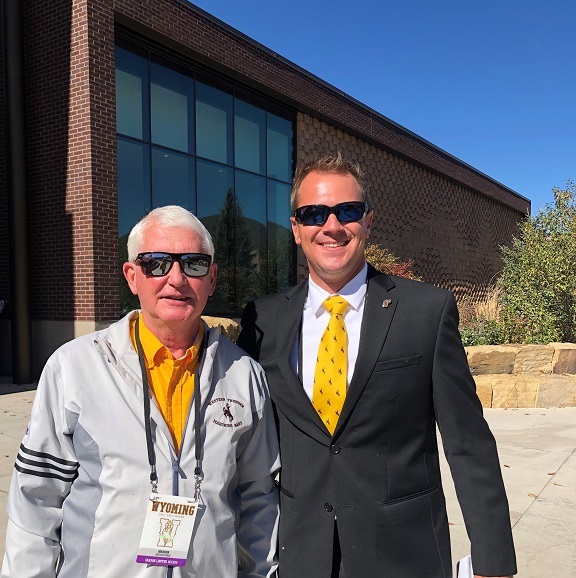 The band would like to thank the McMurry family for their continued support of the organization. Without their generous contributions, we would not be able to function at the level we are at now. From the bottom of our hearts, thank you! Interested in joining us for the 2019 season? Fill out the intent form or contact Dr. Robert Belser (belserrs@uwyo.edu) for more information. A scholarship is also available for new members. More information will be distributed closer to the start of band camp. Auditions will take place on Sunday, August 18.